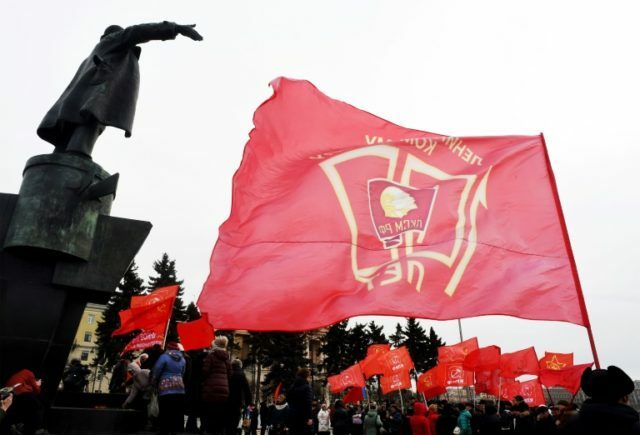 Moscow (AFP) – Several thousand supporters of Russia’s Communist Party rallied in Moscow against government policies, with some attacking President Vladimir Putin who they said was personally responsible for entrenched corruption and rising prices. The Communists had called on Russians to take to the streets across the country to protest the latest raft of repressive laws and falling living standards. The Moscow rally featured both young and elderly protesters and was led by veteran Communist leader Gennady Zyuganov, 74. Similar protests took place in other cities across the country. “I looked at Putin’s historical rule and realised that he has not done anything good for the country over the past 20 years,” said one of the Moscow protesters, Sergei Tereshin, blaming Putin for corruption and rising poverty. “I cannot trust such a leader,” said the 25-year-old engineer. Critics say the Kremlin is ramping up a crackdown on dissenters to counter a fall in Putin’s approval rating amid mounting economic troubles. This week Putin signed laws that allow courts to fine and briefly jail people for showing disrespect towards authorities, and to block media for publishing “fake news”. Soon after Putin was re-elected for a fourth Kremlin term last year, his government raised value-added tax and hiked the retirement age for the first time since the 1930s, sparking anger across the country.